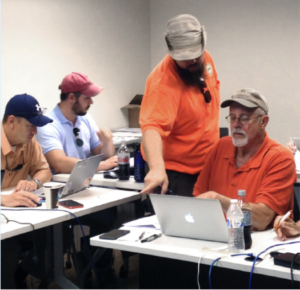 On December 13, 2013, Arizona Public Service (APS) moved one of its first HPXML compliant Home Performance with ENERGY STAR (HPwES) jobs from the energy audit stage to the retrofit stage. Two participating home performance contractors worked on the project. The first contractor sealed the ductwork, which reduced the leakage in two separate duct systems by over half. The second contractor (referred to the customer by the first contractor) air sealed and insulated the home, increasing the insulation of the 2,000 sq. ft. attic from R-7 to R-43. Information collected during the home energy audit by the first contractor was transferred to the insulation contractor digitally. 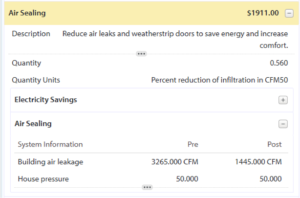 On December 27th, the quality assurance (QA) team at APS noticed an error on the rebate form and returned the job to the air-sealing contractor through our online management platform. On December 30th, after the errors had been corrected and the project approved, an order was sent to our rebate fulfillment vendor to issue a rebate check to the contractor. A QA inspection was completed and approved on January 13that 11:40 am. All of these transactions were completed digitally, with several digital notes between the QA implementer and contractors. The only phone call made during the transaction described above was to set up the field inspection with the customer. As the Program Manager for HPwES, I was able to look up all of this information just a moment ago. This is an example of the power of standardized data. With just a few mouse clicks, I can look at projects over five years with incredible detail. Not all of the information described in the first few paragraphs is HPXML compliant, but important information is, such as data used to describe a project and a home’s energy efficiency features, physical attributes, and performance. With one click, I can see data about a home that the original energy auditor collected and submitted, which is very useful when transferring a project from one contractor to another, or from one end-user to another. For example, when a contractor offers a homeowner an HPwES “Certificate of Energy Improvements,” a real estate certificate that documents a home’s energy efficiency features and performance, they can simply upload the information on the certificate with the project, and our QA manager can verify all the information on the certificate with just a few mouse clicks in our management software. Within our platform is an HPXML reader that pulls and reads data from both the audit and retrofit HPXML files into an easy to read, easy to find format. This makes QA verification fast, accurate, and simple. Prior to the rollout of this flexible HPXML compliant system in 2013, home performance contractors were required to use a single, centralized system selected by APS. The old system was clunky. It crashed often, was very slow, and had to have a few “work-arounds” because it was originally designed for different housing stock in a very different climate. Contractors were rightfully frustrated with the original system. Their customer facing reports were not customizable, and the overall system could not be used remotely, greatly increasing data collection costs for contractors and time to complete the project. We began the process of improving the system in 2012, with very positive results, as explained in the Department of Energy’s Better Buildings case study. Instead of hosting a single system to process the customer level energy modeling as well as the utility level management, we selected a management system that would allow contractors to choose their own HPXML compliant energy modeling software that could ‘talk’ to our system. This option gave contractors choice and flexibility. This type of system also enabled us to better manage the workflow at the implementer and utility scale. During the transition process, we worked closely with a small group of our best contractors and energy modeling software vendors to find areas where we could reduce contractor administrative labor costs while streamlining the entire system to increase contractor satisfaction. With HPXML data from 22,000 audits and 7,000 retrofits safely stored in our program management software, not only can I go back to any one of these jobs and look up any detail, but now I also have some powerful marketing options as well. Other companies are beginning to recognize the power of HPXML in relationship to home energy upgrades. We’re currently working with Pearl Certification to certify energy efficiency homes throughout the state to a certain level of performance by partnering with our participating HPwES contractors. Because Pearl can accept and certify homes with HPXML data, we now have the ability to back-market to the 29,000 customers that completed our program over the last five years. If any of these customers are considering putting their home on the market, we’ll send the customer’s file to Pearl for certification without having to conduct another audit or inspection of the home. Once certified, the appraised value of the upgraded home may increase, or Pearl can encourage a customer that did not move from audit to retrofit to now do so in the interest of increasing the home’s appraised value beyond the cost of the upgrade itself. HPXML improved our entire program since it was implemented in 2013, and continues to offer options for making energy efficiency more cost-effective in Arizona.